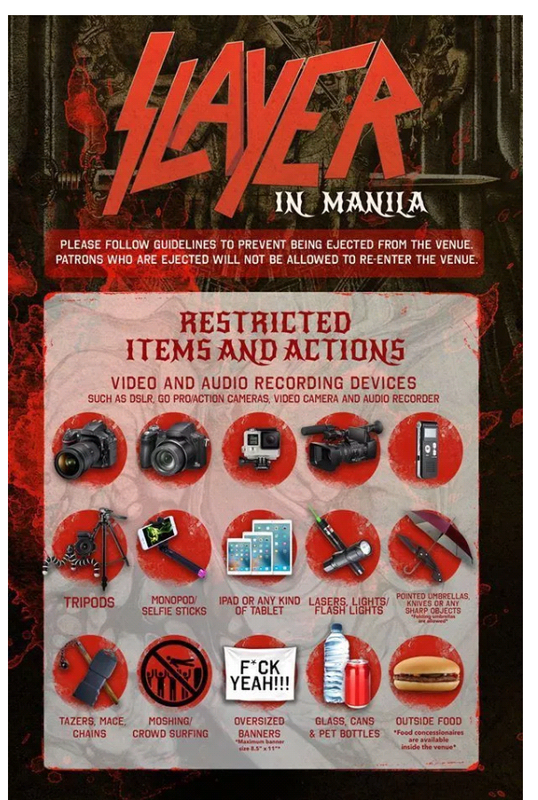 Slayer is playing Manila for the very first time ever tonight! HOWEVER, for all you loyal, die hard moshpit fans, we have some bad news! According to recent news reports, the venue has banned ANY AND ALL OVERSIZED BANNERS. Not to mention, absolutely NO MOSHPITS WILL BE ALLOWED or crowdsurfing during the show. If caught, the.person will be immediately ejected from the concert. Based on social media responses, Slayer fans are pissed about this desicion. 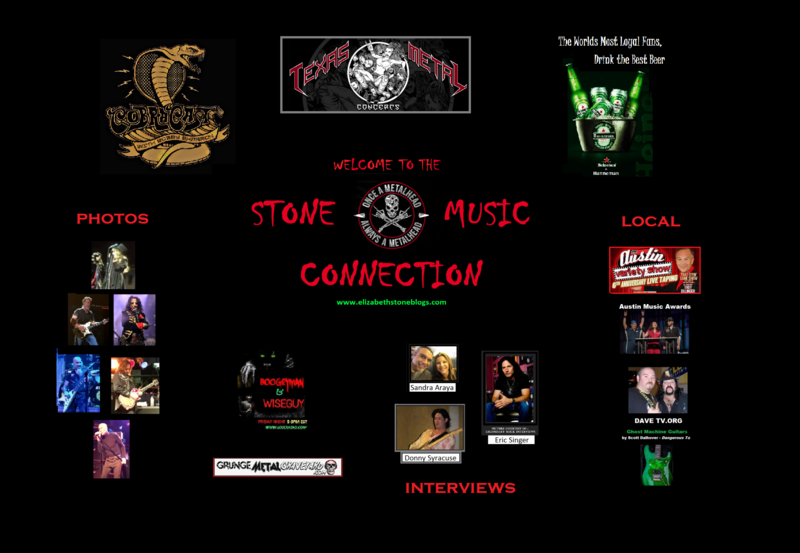 Overall, there seems to be some pretty damn angry metalheads indeed! Granted, Slayer IS known worldwide for their massive, legendary pits but maybe.. and THIS IS PURE SPECULATION…but just maybe these ‘outrageous’ decisions were made by the organizers in response to the recent heart-breaking, violence that has erupted during other recent musical events. Could it be that they are simply trying to look out for their fans, rather than purposely trying to piss them off ?? Previous Previous post: The Catman Meets Biggest Fan!